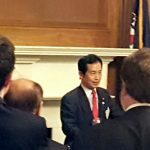 Sasakawa USA took part in a reception at the U.S. Capitol welcoming members of Japan’s National Diet, who were visiting Washington, D.C. during Japan’s Golden Week. The reception, hosted by organizations that foster a strong U.S.-Japan relationship through legislative exchanges, celebrated the strength of the U.S.-Japan relationship. 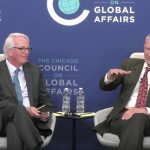 The U.S.-Japan alliance is stronger than ever, but work still needs to be done to sustain the positive momentum and navigate potential crises that could arise in the future, Adm. Dennis Blair, Chairman and Distinguished Senior Fellow at Sasakawa USA, said February 23 at an event focusing on the New Asian Security Landscape. 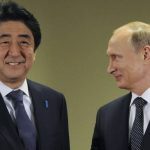 On November 16, Sasakawa USA and the Carnegie Endowment for International Peace will host a public forum on outstanding historical issues between Japan and Russia, prospects for cooperation in the fields of security, energy, trade and investment, and the impact of these relations on the U.S.-Japan alliance. 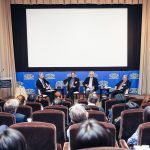 Sasakawa USA, in partnership with the Motion Picture Association of America, hosted a private clip reel screening and panel discussion in commemoration of 70 years of US-Japan relations through film. At the event, Japanese actor Ken Watanabe was announced as the first recipient of the Sasakawa USA Nichibei Award, which recognizes those who have led a positive role in growing US-Japan relations. 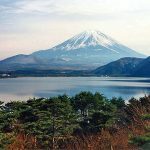 Throughout the United States, the importance of Japan is striking, bringing in billions of dollars to the economy. At two upcoming forums in Cleveland and Philadelphia, Sasakawa USA in collaboration with the East-West Center (EWC) and several partner organizations, will present details on the impact of the U.S.-Japan relationship in Ohio and Pennsylvania.